Sharing personal hygiene equipment should be avoided whenever possible and this includes nail clippers. It may seem harmless, but there are several conditions affecting nails that could potentially spread through the shared use of nail clippers. It only takes a small cut or scratch to make the body more vulnerable to the entry of an infection and this can easily occur when using nail clippers. Athletes Foot is a common fungal infection that usually affects the area between the toes with symptoms of redness, cracking and itching. Onychomycosis is another fungal infection that specifically affects the toenails and causes thickening and discoloration of the nail. Use your own clean nail clippers, always. Paronychia is an infection of the nail fold (where the nail meets the skin of the finger or toe), which causes redness and swelling and in some cases, blisters. Paronychia can be an acute bacterial infection that quickly clears up with the use of antibiotics or it can be chronic and go on to affect the nail itself. This infection can be transmitted via unclean nail implements; specifically, nail clippers. Hepatitis is a virus that causes inflammation of the liver. 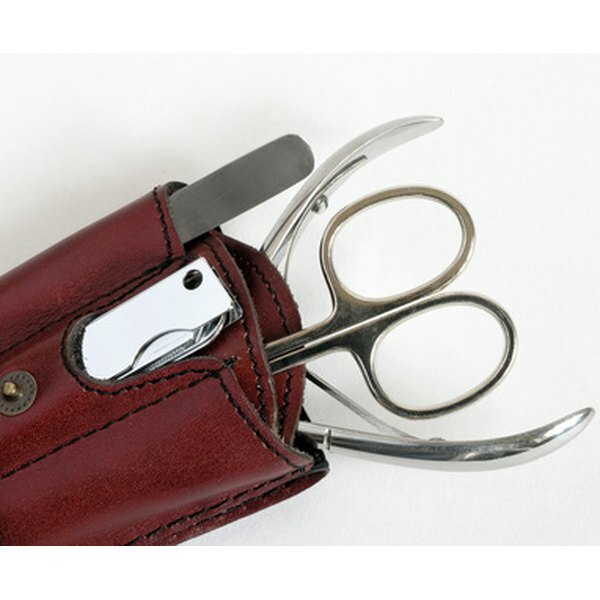 The Centers for Disease Control and Prevention recommends not sharing nail clippers as one of the preventative measures against spreading Hepatitis C, in particular. A more common condition caused by the Human Papillomavirus (HPV) is the development of warts, which occur most commonly on the hands and feet. Warts may also develop on the fingers, close to the nail. When you borrow a nail clipper from a friend there is an element of trust involved because you know who has used it before you. Compare that to having a manicure in a beauty salon when the same equipment is used on hundreds of different people over the course of a year. In order to avoid any infection passing between clients, a professional establishment must sterilize equipment. Ascertain that your salon does precisely that.